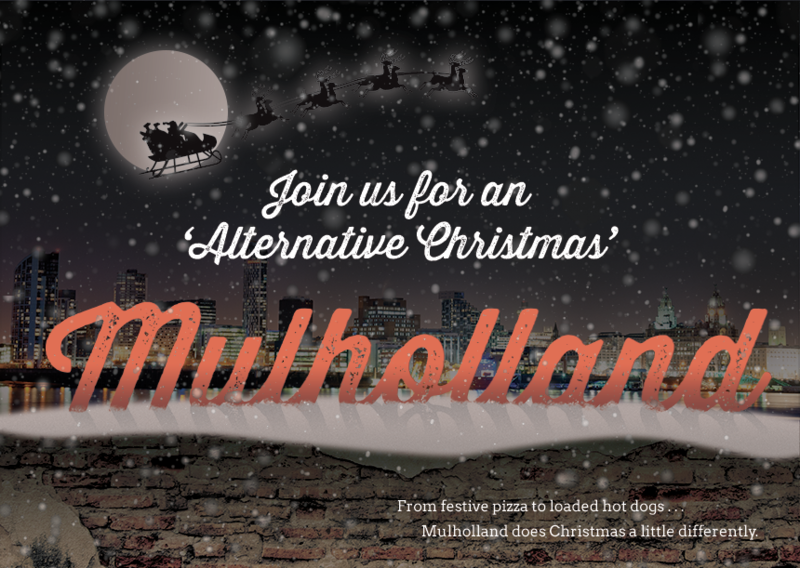 Looking for exciting new dinner shows in Liverpool then Mulholland Bar can deliver with our latest and greatest leap forward in food service. 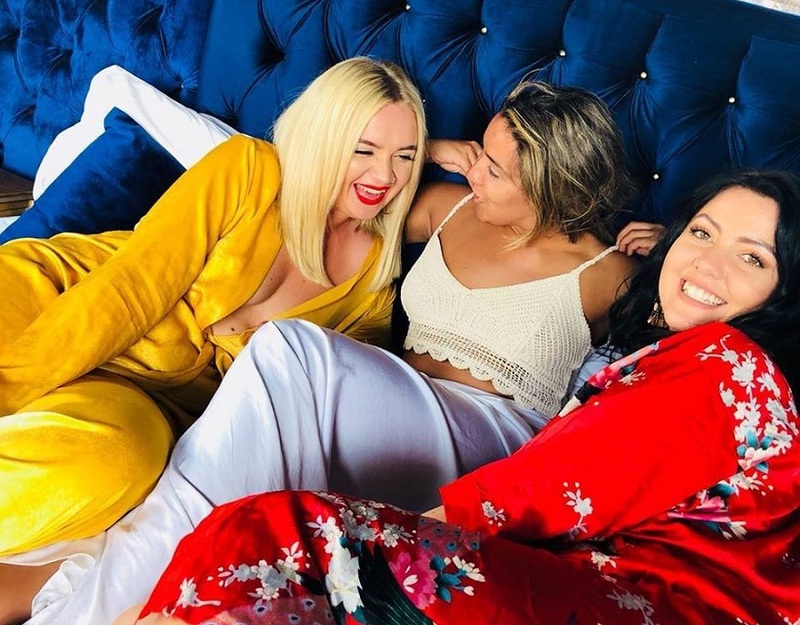 We’ve combined the musical talents of gifted individuals with fantastic food and delicious drink for people in Liverpool to enjoy a truly spectacular dining experience. Bringing something new and exciting to the table, literally, Mulholland Bar has assembled a cast of singing waiters to serve up their delicious and unique movie-themed dishes. 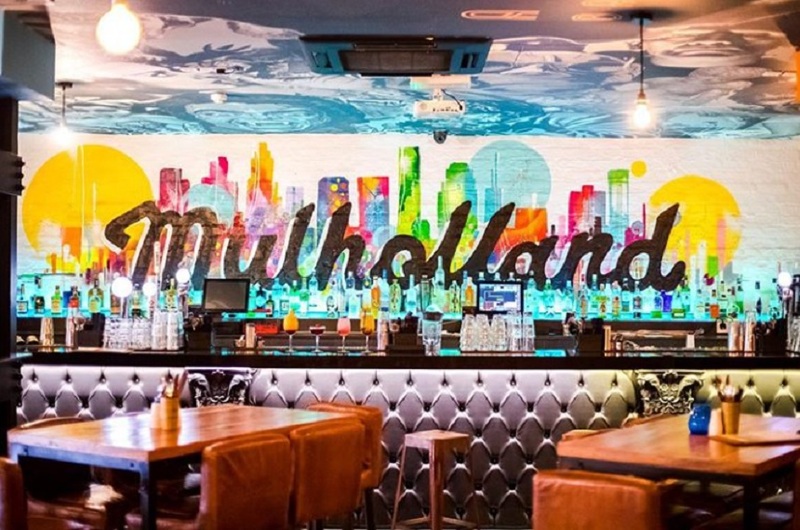 So, when dining at Mullholland Bar you can order a plate of rainbow coloured nacho’s and a Spice Girl Pizza and on the side, you’ll get a rendition of a well-known power ballad or a showstopping Disney chorus. We wanted to spice up dinner shows in Liverpool with more than just flavours and ingredients and decided to add a dash of theatrical flair to the menu as well. 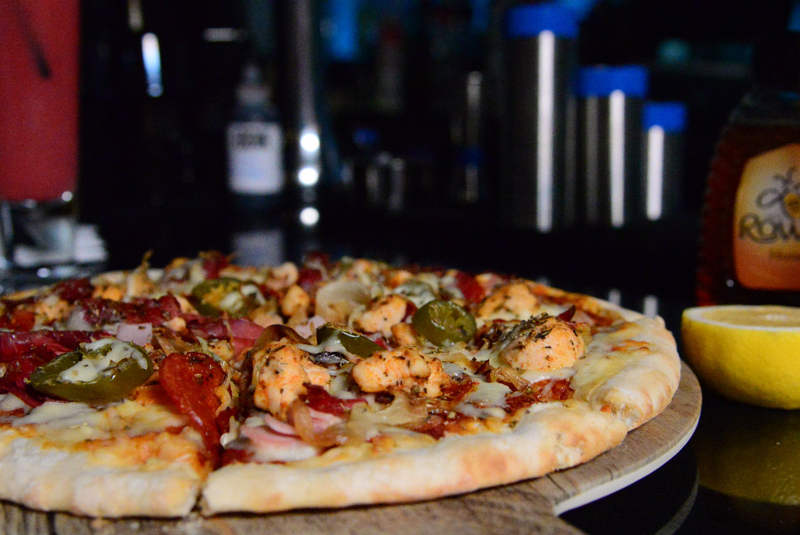 Now you can enjoy a slice of pizza topped with a classic song or show tune too. Where is Mulholland You Ask? 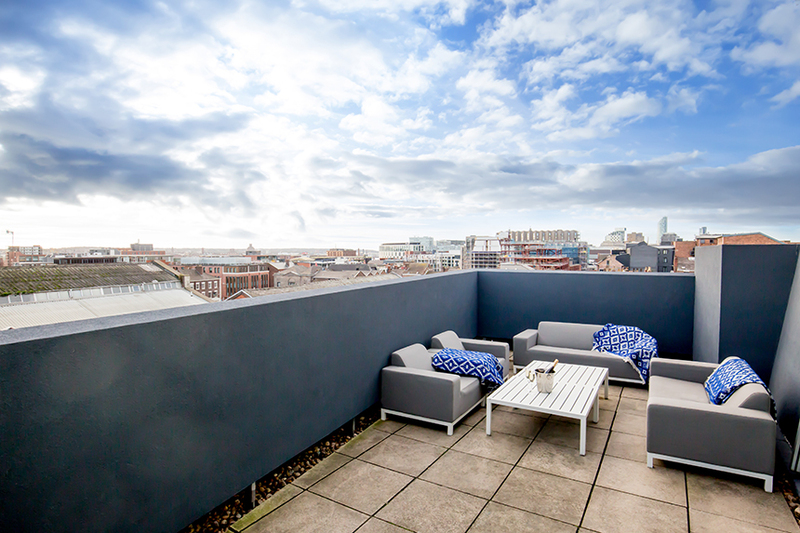 Forming part of Liverpool’s popular nightlife district, the Ropewalks, Mulholland Bar is at home nestled between some of the city’s most exciting clubs and bars. 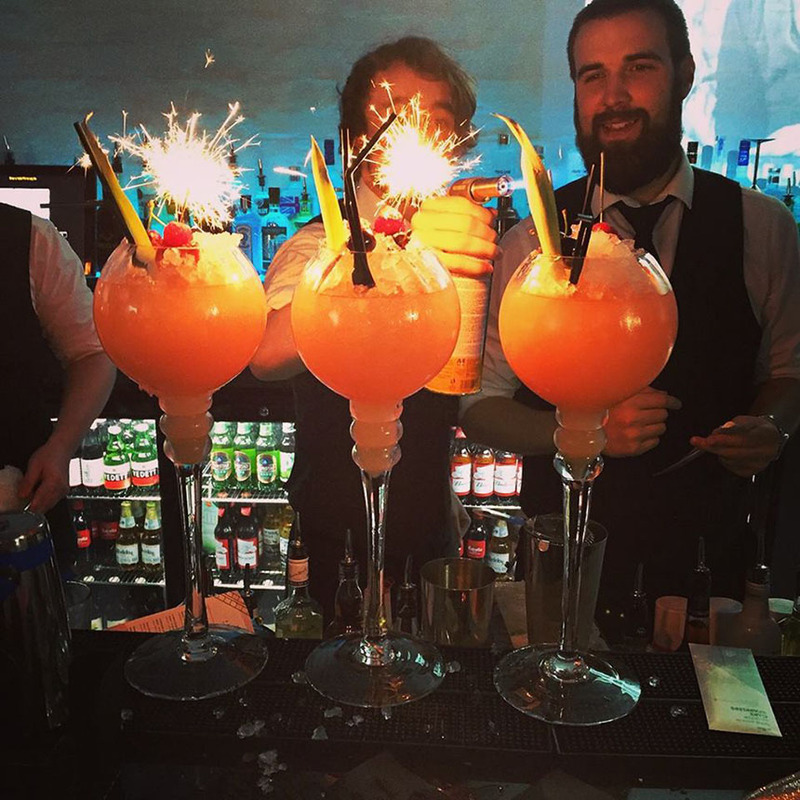 On a night out in Liverpool, you simply can’t miss all the action at this end of town that promises to deliver a one of a kind nightlife experience any time of the year. 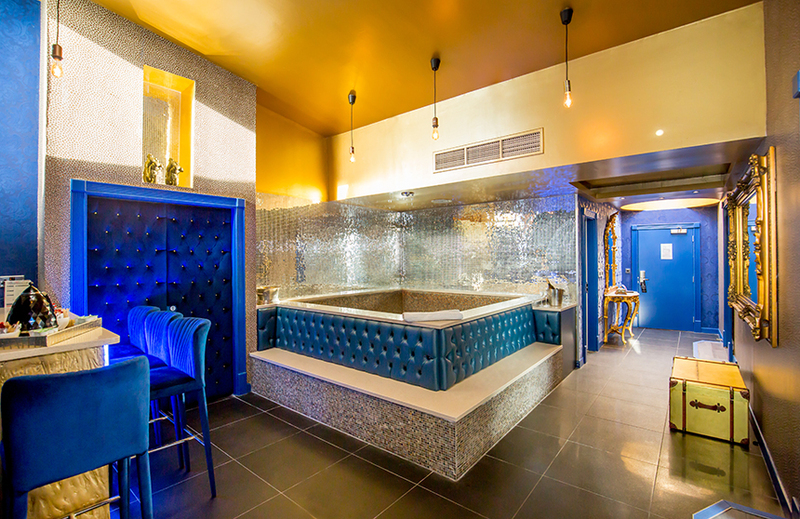 Located underneath Liverpool’s top movie-themed hotel, Arthouse, Mulholland Bar has a retro Hollywood style which encapsulates the bygone era of magical movie making. With stars from the silver screen gracing the décor and inspiring the creative cocktail menu too. 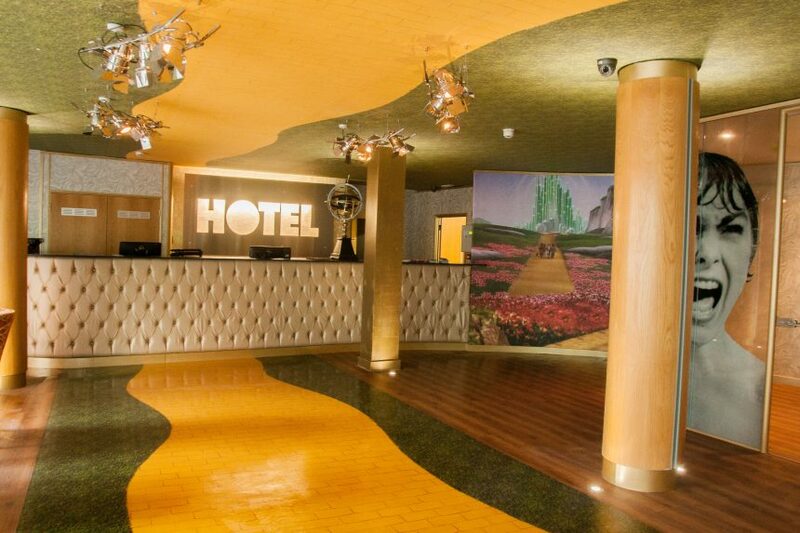 Make Mulholland Bar the first stop at the beginning of your night in Liverpool by booking any of the fabulous movie-themed group accommodation at Arthouse Hotel. 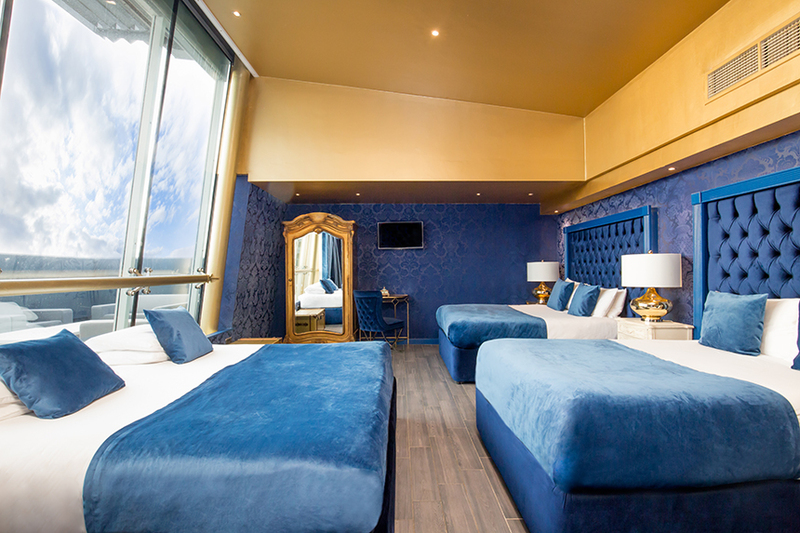 Choose from a wide selection of movie genres including rooms from the thrilling Alfred Hitchcock floor inspired by his classic masterpieces Birds and Vertigo. 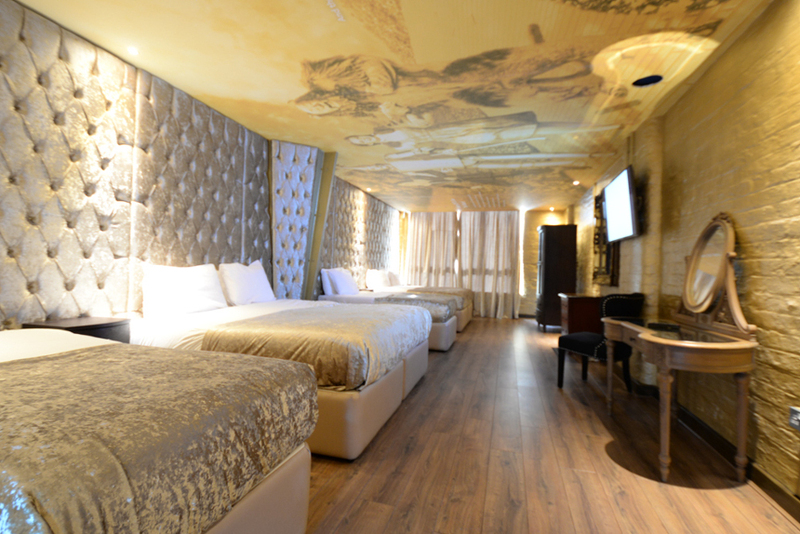 Or perhaps accommodation from the enchanting musicals floor might be more to your taste. 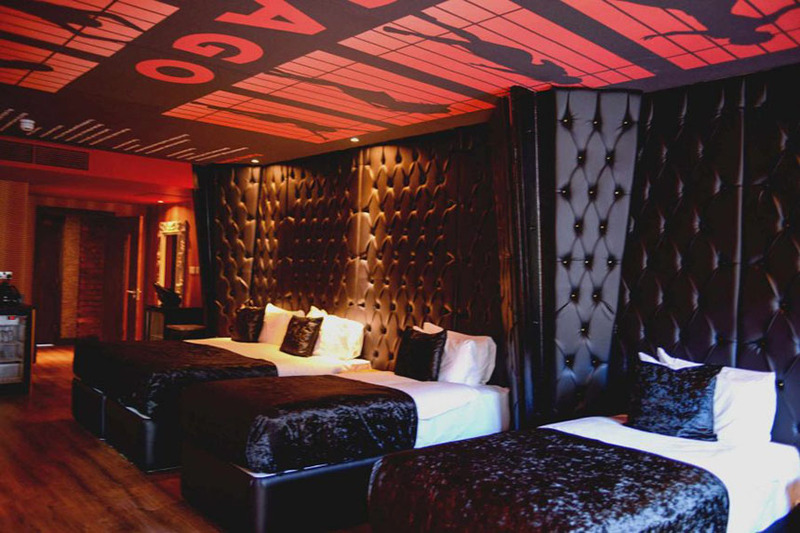 In that case, choose from rooms themed around all our favourite musical greats from Mary Poppins to Chicago. 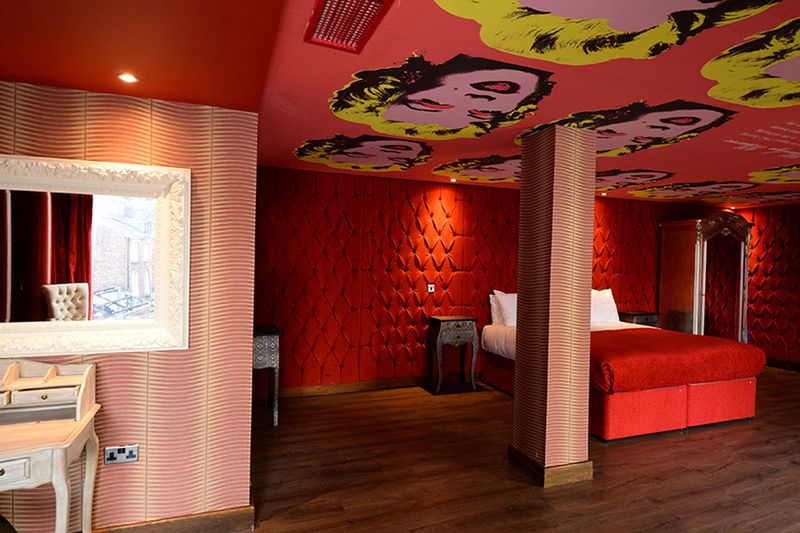 The final themed floor at Arthouse Hotel has been outfitted to honour some of the great works of Andy Warhol including his racy movie Chelsea Girls and the popular Marilyn Monroe Pop Art piece that gained him notoriety long after his death. 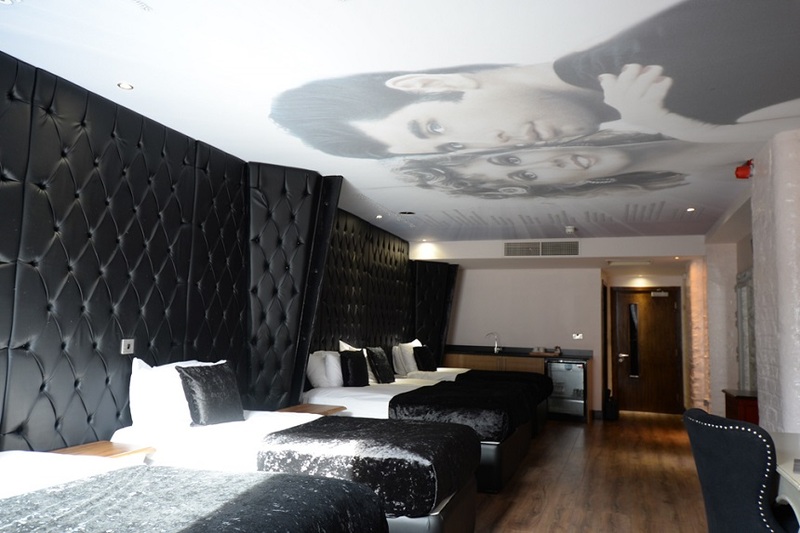 All the rooms in Arthouse Hotel perfectly compliment Mulholland Bar’s film theme and are the perfect places to stay when attending what are set to be the most spectacular dinner shows in Liverpool yet! Perfect for your most special events including hen parties, special birthday celebrations or simply a fantastic night out on the town with friends our Mulholland Singing Waiter dinner shows in Liverpool are not to be missed. 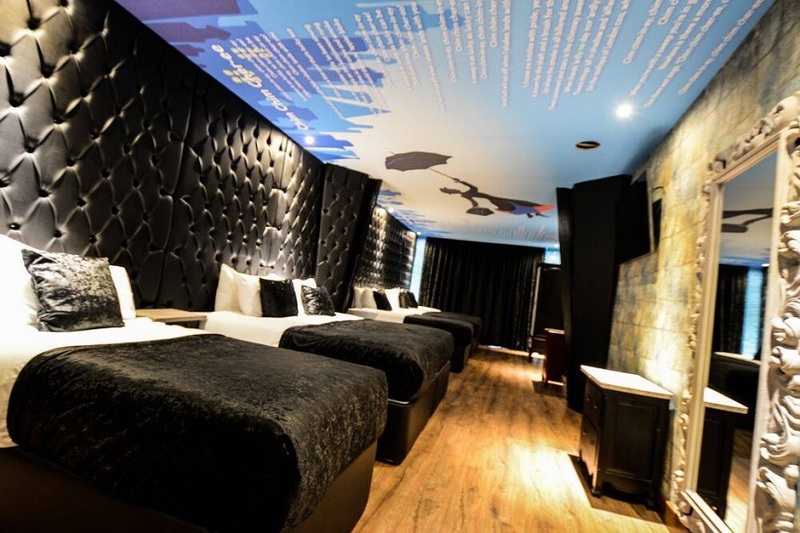 Call 0151 305 7900 for more information and to arrange an overnight stay in Liverpool’s most creative movie-themed hotel call 0151 601 8801 or email info@signatureliving.co.uk today.